Explore the many social media sites for Habonim Dror – Reconnect with old friends from camp and Israel programs and find out about alumni events. Gilboa @Camp Gilboa Habonim Dror Summer Camp in the west coast. The most amazing experience of the summer! Gilboa Alumni Update Facebook page for Camp Gilboa alumni. Lots of great pictures. Habonim Camp Miriam We sang union songs after lunch, danced after shabbat dinner, congregated around at Point, and were afraid of Krepsie. Habonim Dror Alumni The official site for North American alumni of Habonim Dror programs and camps. Become a fan, introduce yourself, post photos and stories, and invite your friends! 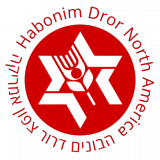 The Habonim Dror Camp Association (HDCA) is the umbrella organization for the Habonim Dror camps in North America. Habonim Dror Camp Tavor At Habonim Dror Camp Tavor, children ages 9-16 experience a one-of-a-kind Jewish Youth community. Wiscons Ken Official Ken Wisconsin Facebook Group! ?